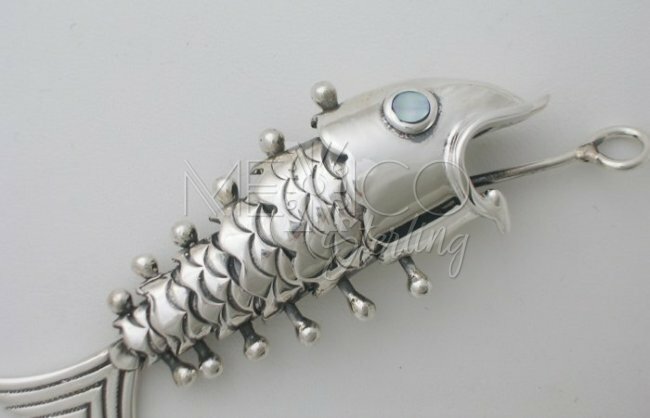 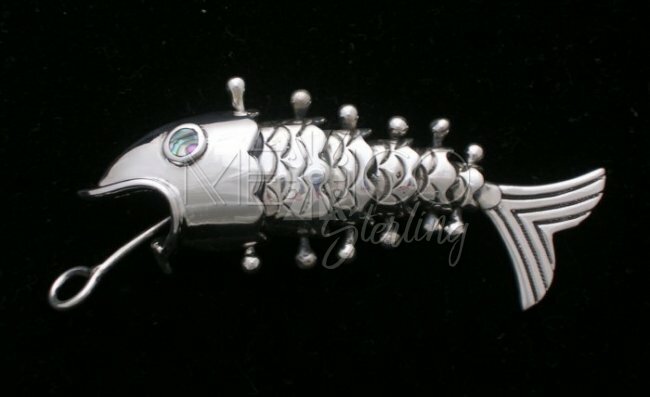 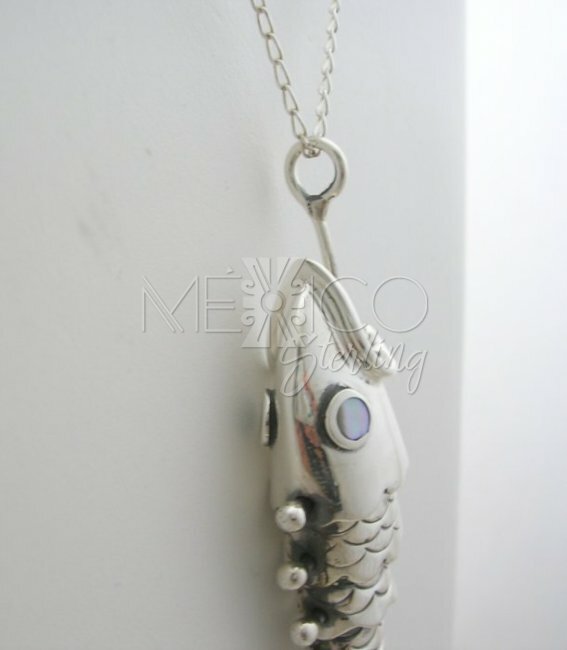 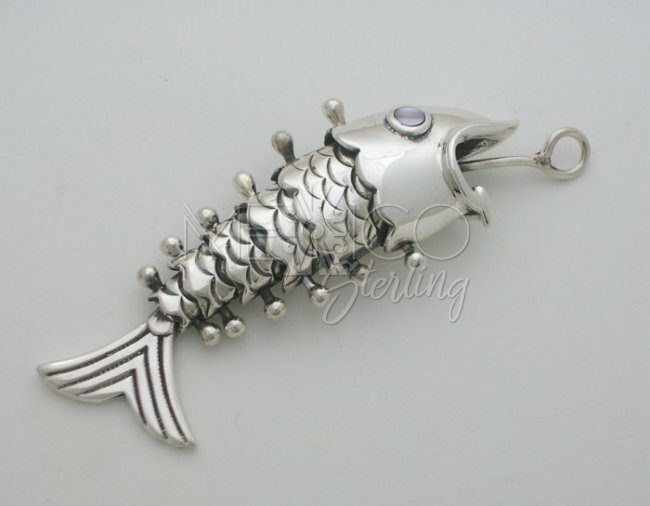 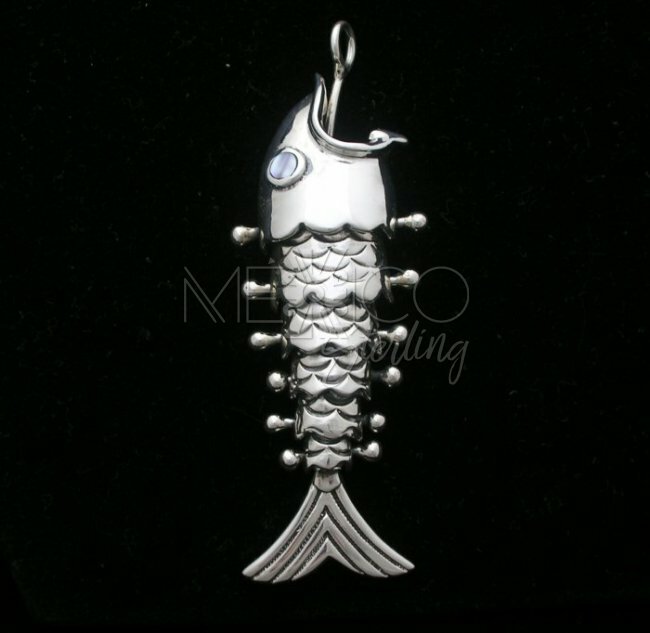 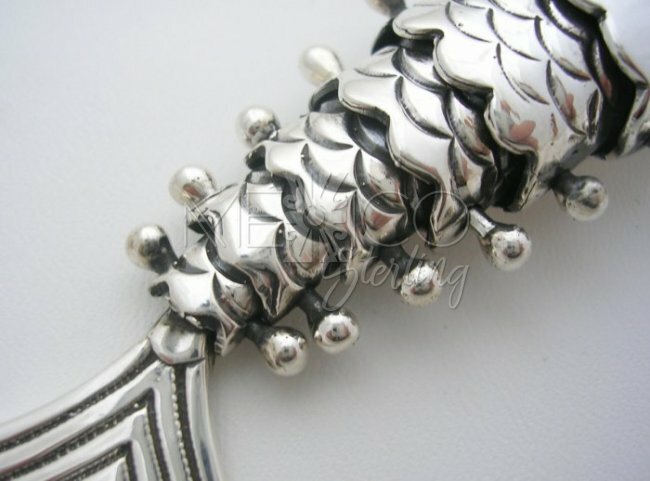 Handmade Silver Fish on the Hook Pendant [PND2503] - $86.00 : Mexico Sterling Silver Jewelry, Proundly from Mexico to the world. 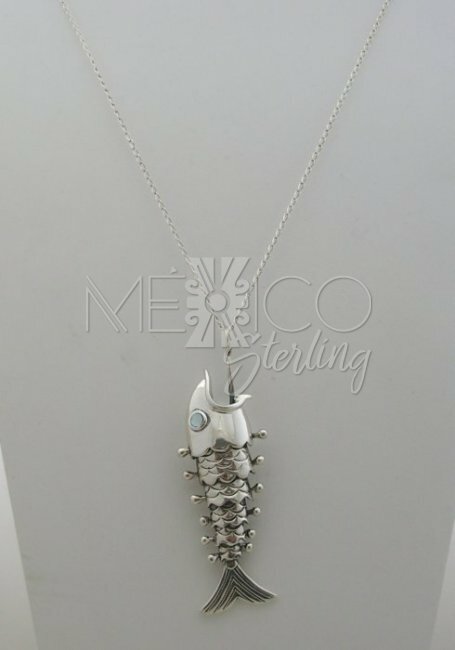 Dimensions: Width: 1" at its widest point Length : 3 1/4"
This amazing design was inspired by some of the classic works created by "Los Castillo". 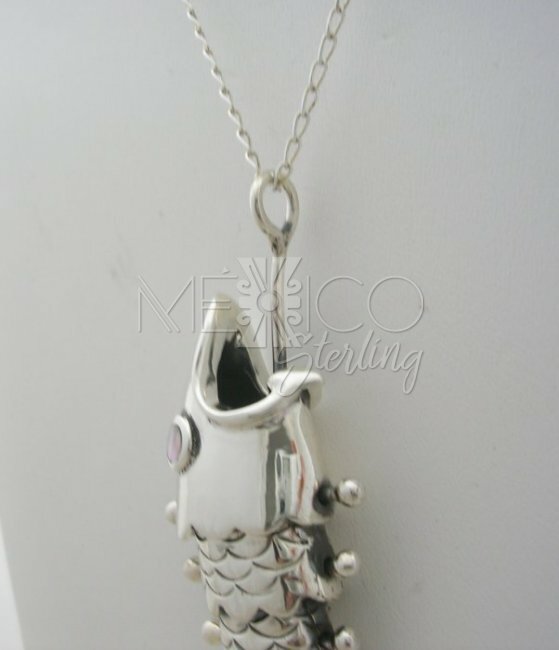 The silver pendant you see here is an extraordinary example of Mexican craftsmen's creativity and artistic vision.This silver piece was handmade, carrying an exotic look, a unique built and wonderful and charming details. 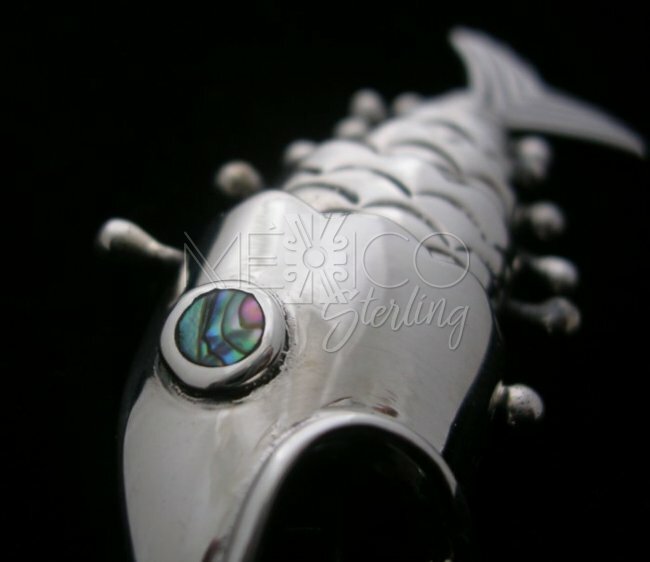 This is really an extraordinary silver jewel, with Abalone eyes, this little touch just add more beauty to the whole composition. 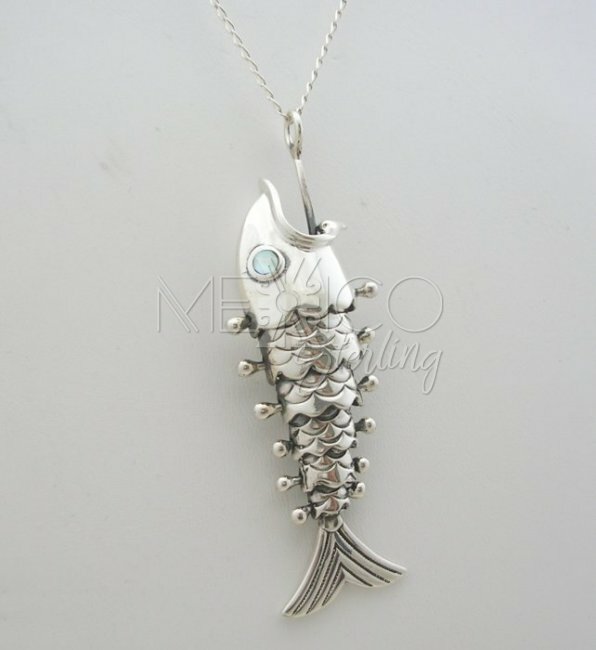 I would like to mention too, that this pendant is solid silver, also substantial in weight, not a tiny piece.